A Korean inspired grilling party was the perfect theme to get out of our usual hamburgers, hot dogs, bratwurst, and steak rotation. It was such a delicious way to gather our friends and enjoy the remaining time we have of summer! Along with our bulgogi, we had quite a spread of Korean favorites including Korean potato salad, scallion kim chee, japchae noodles, pickled cucumbers, mandu dumplings, wakame salad and daikon & carrot salad. One of the most important ingredients to our Korean grill party was Mazola Corn Oil. 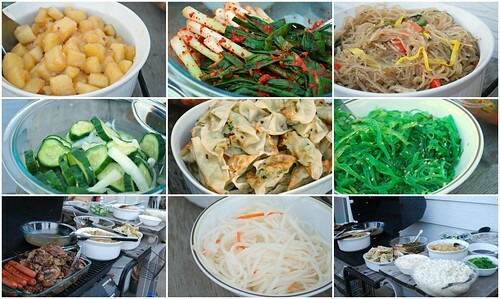 I used it in the bulgogi marinade along with other dishes such as preparing the potato salad, japchae and frying up our mandu dumplings. 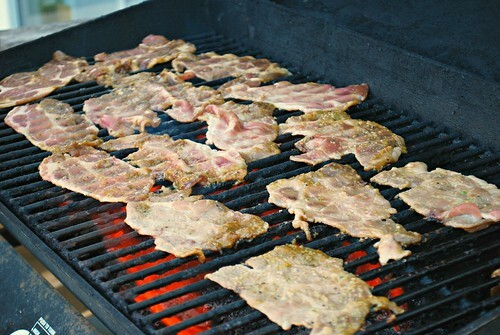 We also used Mazola Corn Oil to prep the grill grates so that our bulgogi wouldn't stick! Why grill with Mazola Corn Oil? Did you know most grills are too hot for olive oil to handle? Corn oil has a high smoke point, meaning it’s ideal for your marinades and protein on the grates, and won’t burn or leave a bad taste. More importantly, it’s a better-for-you way to grill – a recent study found corn oil lowered LDL or “bad” cholesterol more than extra virgin olive oil. Need recipe inspiration? From Spicy Grilled Watermelon to Grilled Guacamole and even a Grilled Bloody Mary, Mazola has dozens of summer recipes sure to turn up the heat, not to mention they give a high-five to your heart health. To participate in the giveaway, share your favorite grilled food in the comments below. A random winner will be selected by the end of the weekend, chosen by Sunday, August 17th and sent the Mazola Ultimate Grill Kit! In the meantime, here's the recipe to the bulgogi recipe we enjoyed! Disclosure: I was provided product samples and additional compensation, but any opinions expressed are my own personal and honest thoughts. 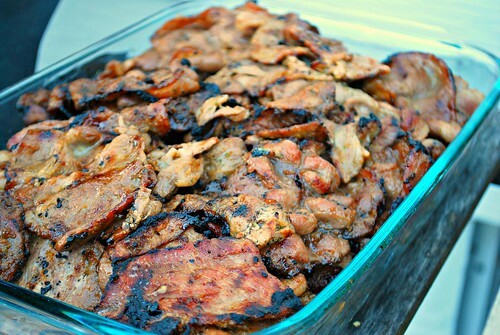 Place the beef or pork in a shallow baking dish or gallon sized storage bag. Add remaining ingredients in a blender and puree to create the marinade. Reserve 1 cup of marinade for serving. To help set an ambiance, especially with the summer drawing to a close, we also enjoyed some mood lighting on the backyard deck! 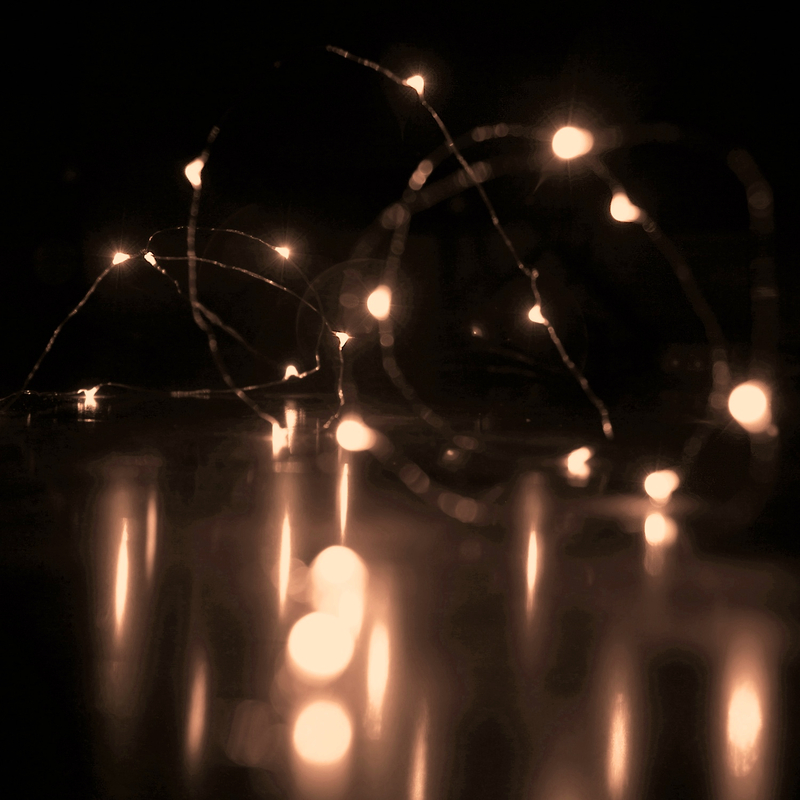 These Micro LED Battery Operated String Lights are perfect for use as lighting. The lights are strung on a very thin wire with 60 very small LED bulbs that are about size of the rise grain and are intensely bright. With steady 360 degree viewing angle they illuminate in every direction. They are easy to hide, give beautiful true color and use fraction of energy needed by regular light strings. The lights span a length of about 21 feet - longer than many string lights out there. In fact, these lights can even be used all year round from the summer porch to decorating through the holidays. The lights also use less energy and are battery operated, making them a great economical choice too! I live grilled scallops! Grilled bulgogi and galbi are also some of my favorites! Everything tastes better grilled. Especially peaches.